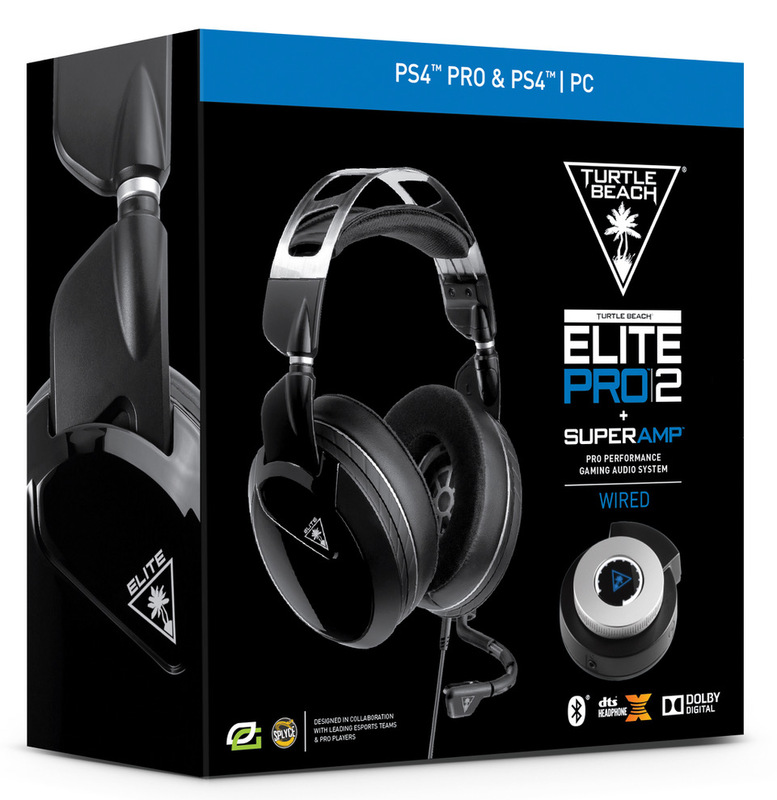 San Diego, CA – August 29, 2018 – This morning, leading gaming headset and audio brand Turtle Beach (NASDAQ: HEAR), unveiled the Elite Pro™ 2 + SuperAmp™ Pro Performance Gaming Audio Systems for Xbox One and PlayStation®4. The eagerly anticipated successors to 2016’s innovative and groundbreaking Elite Pro Tournament Gaming Headset have arrived. Developed in collaboration with top pro esports teams such as OpTic Gaming, Splyce, and the Houston Outlaws, the Elite Pro 2 + SuperAmp is the perfect balance of powerful amplified professional-grade sound, unmatched build quality and comfort, and groundbreaking mobile app-based control of your audio settings. Additionally, Xbox fans seeking to complete their Elite setup need look no further as Microsoft also just announced the Xbox Elite Wireless Controller in Robot White. Get pro-level precision with the Xbox Elite Wireless Controller, featuring an arsenal of swappable components, Hair Trigger Locks, and limitless customization with an easy-to-use app. Choose from a variety of Thumbsticks, D-pads, and paddles for a tailored feel that provides game-changing accuracy and speed.